A student asked his teacher, "Miss, is it fair if I get in trouble for something I did not do?" The teacher replied, "Of course not! Tell me who got you in trouble for something you didn't do?" What do you think the student replied with? "Miss, I forgot to do my Homework again!" 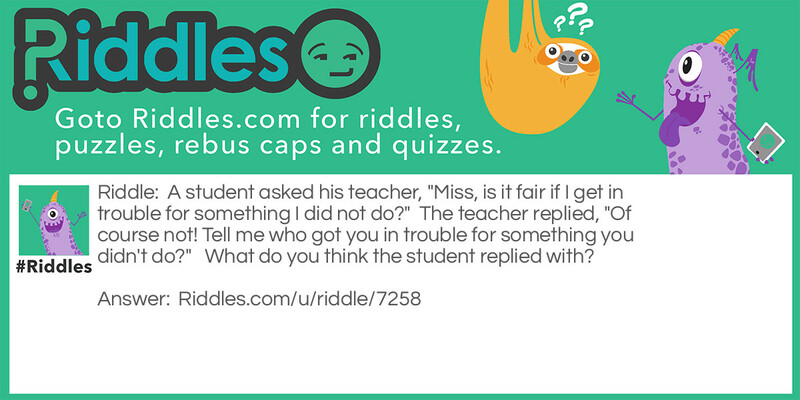 The Student's Curiosity Riddle Meme with riddle and answer page link.